Home / 2019 Baltimore Orioles / adam jones / baltimore / Baltimore Orioles / orioles / SOTBSports / winners / SOTBSports: Should the Orioles Bring Back Adam Jones? The Baltimore Orioles are a rebuilding team, at least for the next few years. There’s no way around it. They need to restock, rebuild, and—in some ways—re-learn the way that they play baseball and conduct baseball business. They will probably struggle the next couple of years and may not be all that great. I’ll still support them, because I bleed orange and black. I’ll still take my boys to games and go to games with friends if/when the time allows.. However, I’m also a realist when it comes to my beloved Birds. One of the hardest things about last year wasn’t watching the Orioles lose 115 games. It wasn’t even seeing Manny Machado get traded to the Dodgers. No, for me, the hardest thing was seeing Adam Jones possibly play his last games as an O. 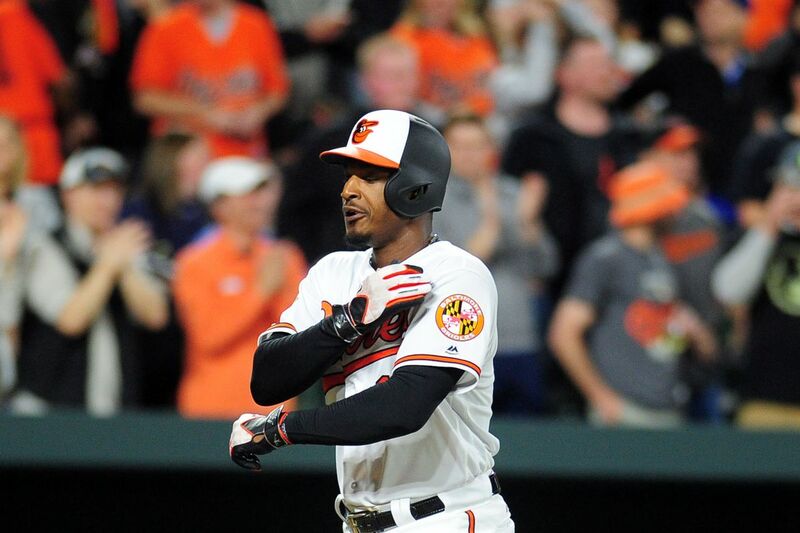 Over the past decade, Adam Jones has become my second-favorite all-time Oriole (Eric Davis is still my number one), and he exemplifies what it means to be an Oriole and what it meant to take up residence in Baltimore. He is tough, resilient, an activist, and an all-around great guy. He is someone your kids can look up to and your sports fans can still gawk at in awe. 2018 was a bit of a rough year for him, but he played as hard as he could and was an excellent part of the team. He is a proven leader and a great person to have around. Things just seem better with “Cap10” running around the Orioles clubhouse. With Mike Elias taking up the reins as GM, there have been questions as to whether Adam Jones should be offered another contract with Baltimore. If you want my purely emotional response to that question, the answer is “heck yeah. Sign him now! He’s done more for the city than many before him and possibly many after him. It’s deeper than baseball.” If you want my purely sports response to that question, the answer is still yes. I’ve said it before: I know it’s selfish to want Adam Jones back in orange and black in 2019. As one of my favorite players ever, I would love for Adam Jones to have another shot at getting to the World Series before his playing career concludes. I’m not all that sure that’d happen in the next few years in Birdland. As an Orioles fan, I would love to see him back because he is a proven leader, a professional, and his impact stretches far beyond what he can do with a ball, a glove, and a bat. It’s hard saying goodbye to someone you’ve watched grow up and flourish before your eyes. Watching Adam Jones leave to sign elsewhere would be like losing a part of the Orioles family. Yes, it may be the best for him (and/or for the team in the long run), but it’d still hurt. Ultimately, it’s not up to me or you or anyone else but Adam Jones and the Orioles front office. That said, I would like to see a reunion. On the same token, though, I want Jones to win as much as he deserves to win. Could the Orioles use him as a mentor and use him to put more butts in seats? Yes. Could they let him walk and then he signs with some other team? Also yes. What do I think is best for the team? Adam in orange in black for another season or two to pie winners and be an illuminating presence in Baltimore. What do I think is best for Jonesy? I don’t know because I don’t know him personally, but I definitely want him back. Again, it’s selfish and I KNOW it’s as such. But, I’m not ready to say goodbye yet.